Every week we develop creative and engaging programming for the children that is therapeutic or educational as well as entertaining. Our activities are a platform for social interaction, an opportunity to learn new skills, and, above all fun, for the participants. Cooking: Each week we prepare a different snack, choosing recipes that are fun to make and eat. During the year we have world-renowned chefs who come and teach us how to make pizza, ravioli, sushi, vegetarian dishes, and other delicious recipes. Crafts: Our crafts are designed to be fun and creative, and provide a chance to use fine motor skills. Many of our crafts are chosen to complement our community service program. We have made dog toys for the Guide Dogs of America and children’s activity books for families receiving groceries from SOVA Food Bank. During Pepperdine University’s recent Step Forward Day, we worked with Pepperdine students to create an organic garden for the MJC&S Preschool. 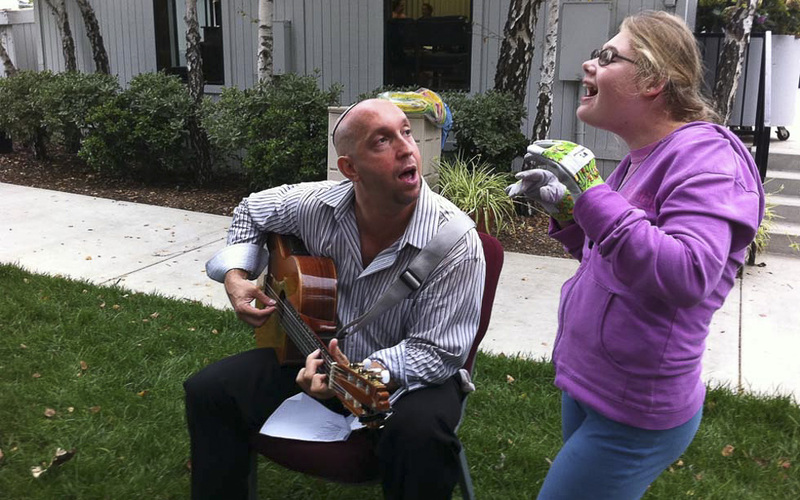 Music: We start and end each week with music, which is a favorite activity for all of our participants. Singing and making music brings us together. 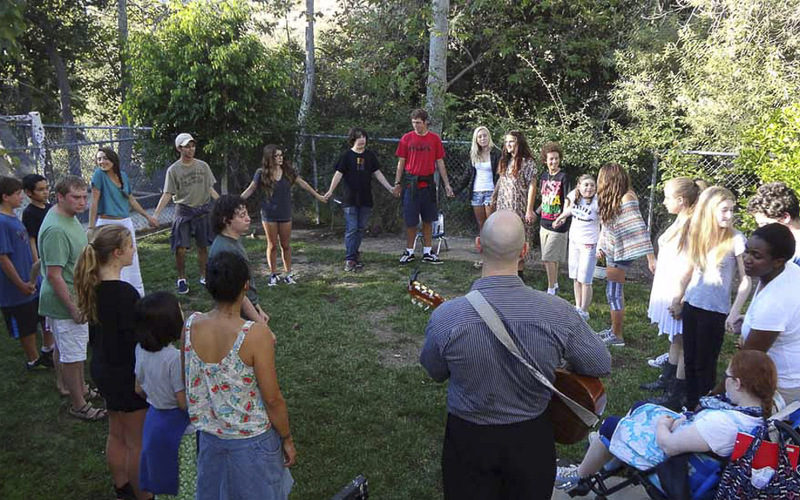 Community Service: Tikkun Olam, repairing the world, makes us whole again. When we reach out to others, we also reach within ourselves and grow as individuals and as a community. Everyone in our program participates in several community service projects, such as our support of the SOVA community food bank” and Shane’s Inspiration, a playground for people with disabilities. 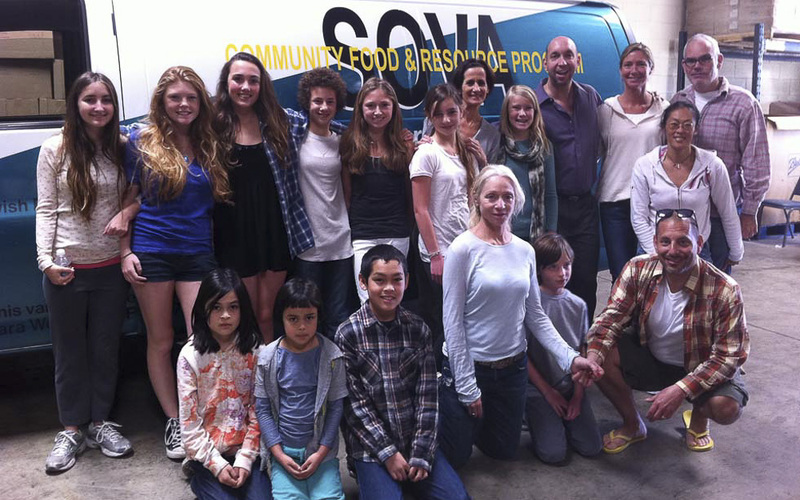 Every year we prepare food for Thanksgiving dinner that serves people who are homeless. 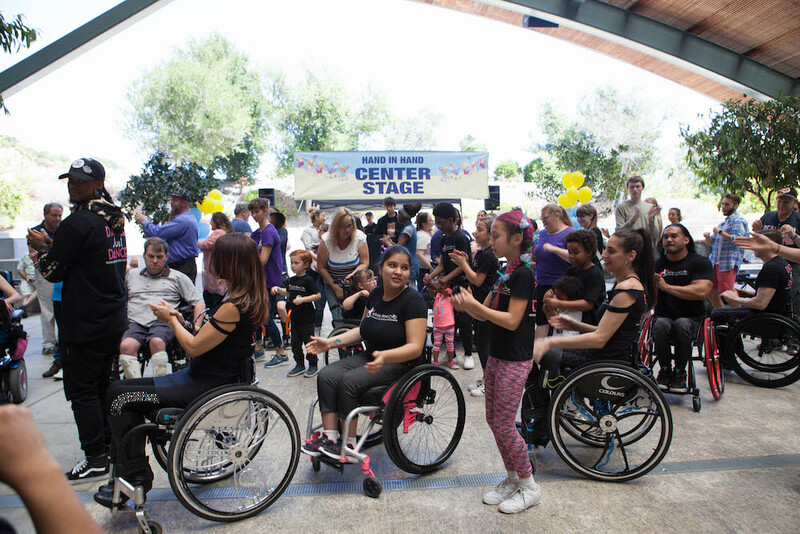 Our commitment to community service is based on the understanding that people of all abilities have something to offer others, and Hand in Hand provides this opportunity. We also take fun field trips during the year to different Malibu parks, to the beach, and to Disneyland, among other places. Our after-school program is built around three main components: music therapy, community service, and activities such as arts and crafts, cooking, playing games and socializing. These components provide all of our participants with an opportunity to learn new skills and develop friendships in an environment that is safe, caring and supportive. 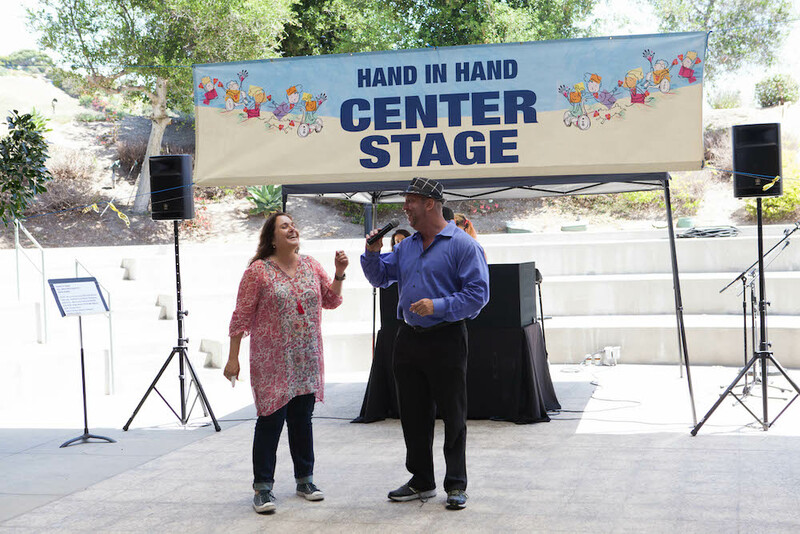 Hand in Hand is run by Cantor Marcelo Gindlin, who holds an MA in Music Therapy; Lisa Szilagyi, a special education teacher in the Santa Monica Malibu Unified School District; and Janet Hirsh Ettenger, BFA and RN. Making friends is essential to everybody. 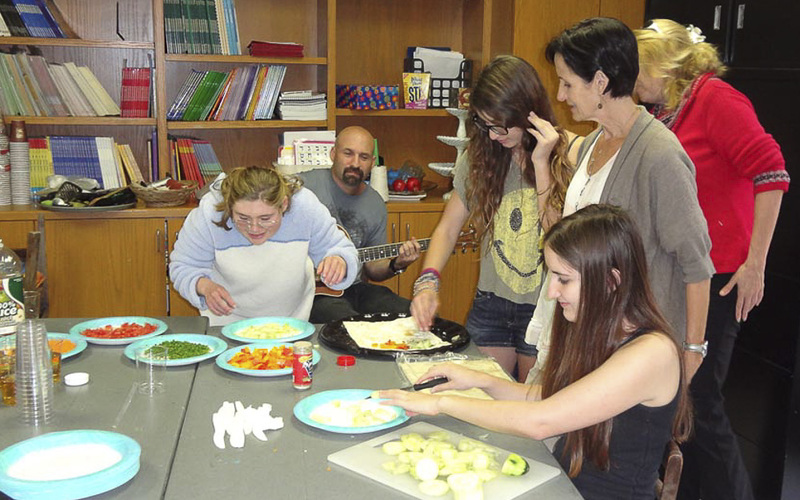 Individuals with special needs often have few opportunities to create and maintain friendships. Our program pairs youth with special needs with their peers, to help them nurture friendships that will enrich their lives. The peers that participate in this program receive specific training and guidance. Hand in Hand accepts all children, regardless of their faith or affiliation. 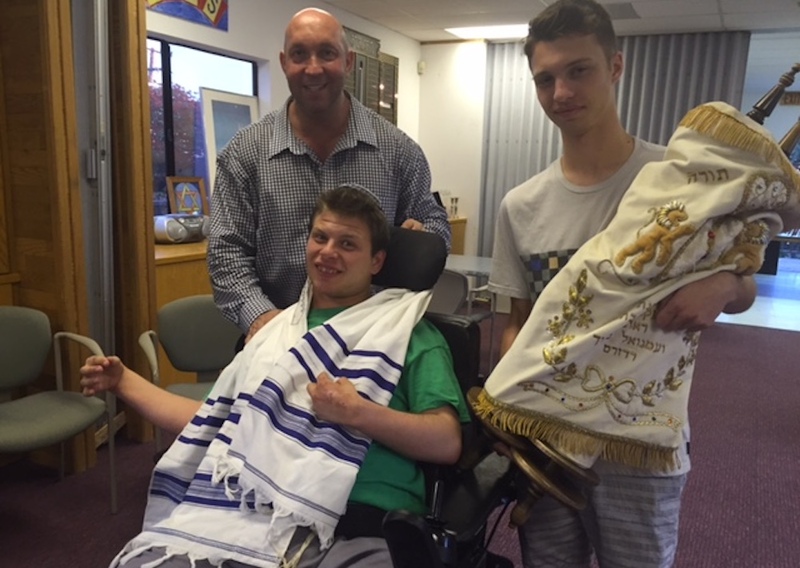 For our Jewish children who would like a Bar or Bat Mitzvah, we will also provide the opportunity to prepare for a creative and meaningful ceremony. Each Bar or Bat Mitzvah ceremony is tailored to meet the individual needs of the child and the family, and allows them to celebrate an important milestone in their life. 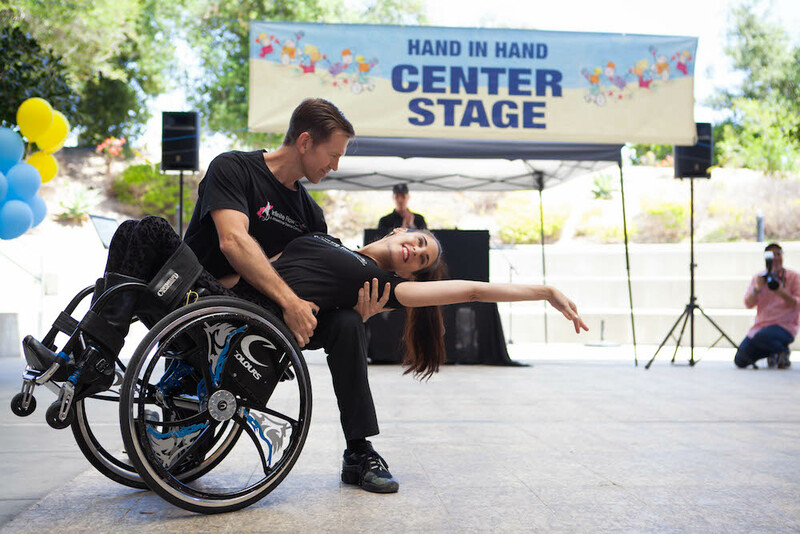 Since Hand in Hand launched in Fall 2010, we have seen a strong and creative program take flight. We are focused on expanding the program to serve more children and families who are in need, as well as developing a secondary program with a social focus tailored specifically for children and young adults who have less severe special needs- but their own unique challenges. The establishment of the Hand in Hand Scholarship Fund will provide assistance for families of children with special needs who are facing financial hurdles. Therapy, medical equipment, wheelchairs and other assistance will be provided based on the recommendations of an expert committee. 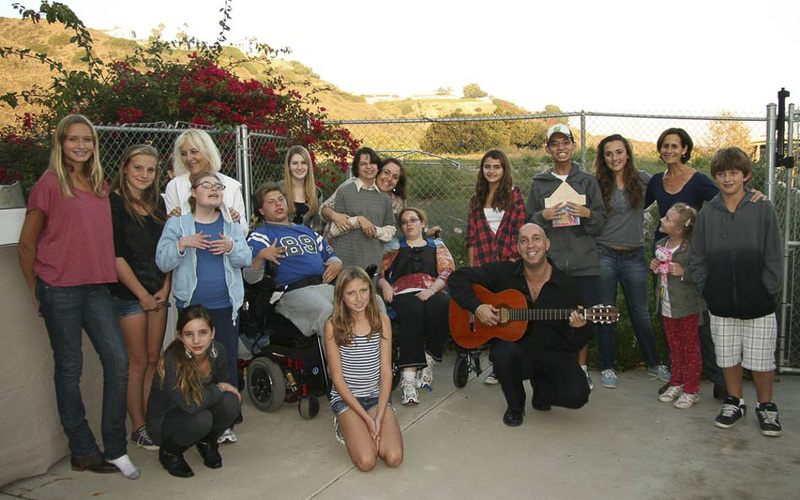 Your contribution to Hand in Hand will ensure that we can continue to offer this unique, free program to the special needs community in and around Malibu for years to come. Funds collected will go towards overhead expenses for running the program and towards establishing the Hand in Hand Scholarship Fund, and can be directed as desired. 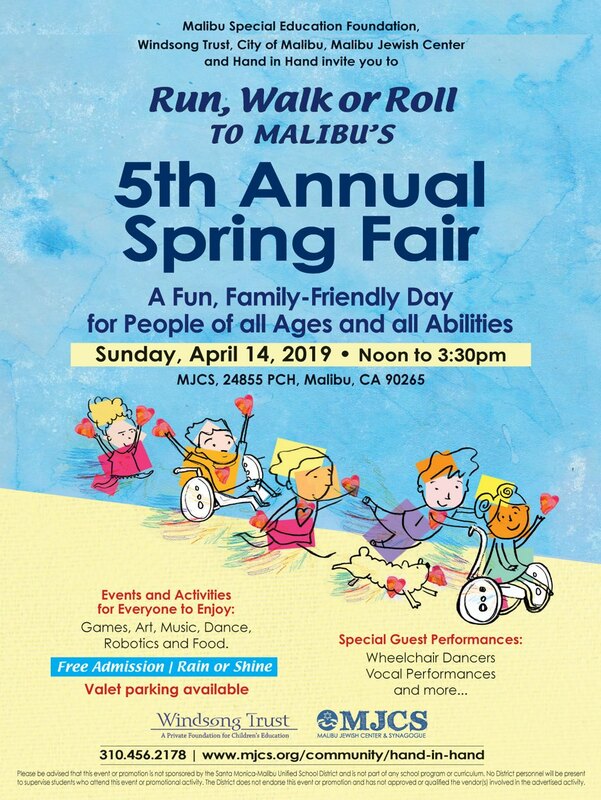 Please contact Hand in Hand for more information at (310) 456-5513.